This rabbit memorial plaque is made of high quality cast brass. 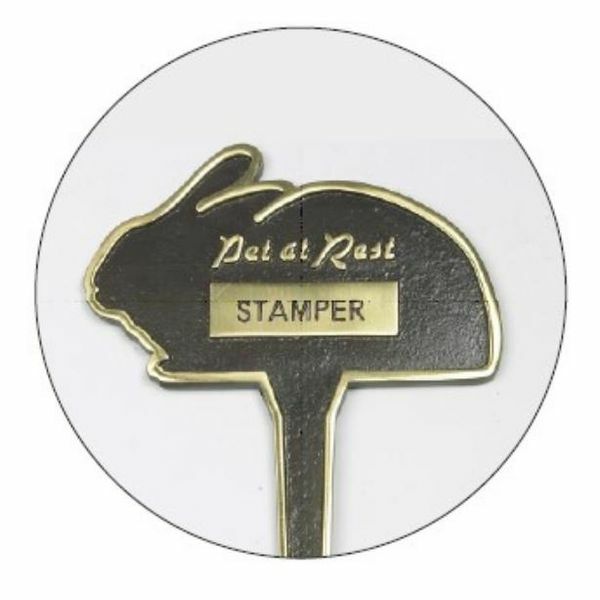 The brass rabbit memorial stake is engraved with your rabbit's name for free (up to a maximum of 20 characters), and is approximately 10" high. The postage rate for all pet and rabbit memorial stakes and plaques is Band A.